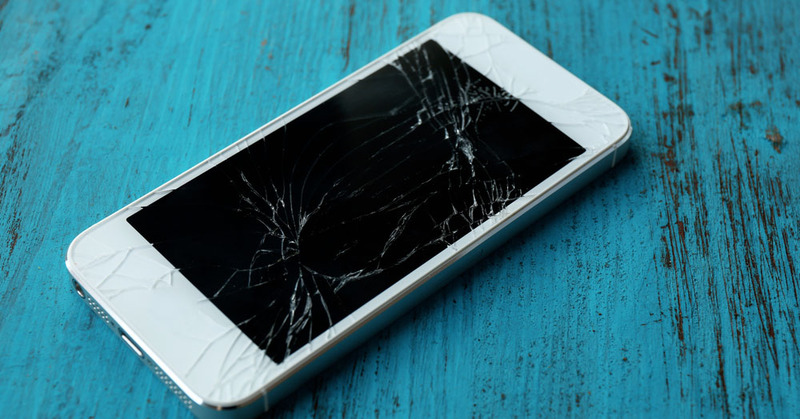 If your phone is broken and you need it fixed, call us or fill out the form to learn about how we can help you, without breaking the bank. From fixing cell phones to computers, and even offering prepaid cell phones from Boost Wireless, Forever Wireless does it all. Is your cell phone smashed? Maybe you cracked the screen on your iPad or other tablet. Think you lost important information like data and photos? We can help, and we can even migrate it to your new device! Or maybe your devices are all in great condition and you just want to add some awesome accessories! We do it all, and we are known as the best service in Maryland. Check out our store locations in Baltimore, Pikesville, and Reisterstown. Repairing a broken screen on your phone should be a quick and painless experience similar to getting your oil changed. At Forever Wireless, we strive to provide the best possible service imaginable accompanied by a fair market price for the highest grade replacement parts available. It’s not just about completing the repair for us, we want to make sure your device is going to function the way it should after it leaves our store for the lifetime of the device. Using low-quality parts can cause a variety of issues not to mention cause irreversible damage, turning a broken screen into MUCH more. Learn more about phone screen repair. Learn more about iPhone Repair in Baltimore. Our team of technicians who are trained to repair almost any device are ready to serve customers repair needs. From Apple to Samsung, broken screens to damaged charging ports, our technicians can repair your device while you wait at any of our repair centers in the Baltimore Metro area. We also offer an executive service where we repair iPhones screens at your office / home/ or local pub in the Downtown Baltimore Area. This service is by appointment only, and a nominal fee is added to cover expenses. Whether it’s in our stores at your office, we are eager to earn your business. We look forward to serving you! Can’t make it to one of our locations? We’ve got you covered! We can dispatch our expert repair technicians to your home or office. Find out more about our Onsite Repair service here! FIX MY CELL PHONE TODAY! Is your iPad screen broken? Headphone jack stop working? Thankfully iPad repairs on most generations are very affordable and can be completed same day even while you wait in some cases. Each tablet is different, and our representatives will be the first to tell you if its worth NOT repairing but rather investing in a new one. We stock parts for the most common tablets, not the market, but we also have no problem special ordering items as well. Tablet repairs do require a much higher skill set than your average cell phone repair. Frame bending is a common issue especially around the edges where the impact occurred. Our technicians have been training extensively on the most common tablets and how to identify and resolve frame issues. Each tablet that is repaired goes through a quality assurance checklist before being returned to the customer. But don’t worry, with every tablet repair we provide a complimentary 6-month warranty on our repairs. FIX MY iPAD OR OTHER TABLET TODAY! All Forever Wireless technicians are trained to be able to diagnosis and repair the most common laptop or desktop problems. Whether it’s a broken laptop screen or a virus causing your computer to slow down, we are here to help! It’s hard to diagnosis everything over the phone or email, so we always advise that you stop into one of our locations with your device so we can get all proper model information and assess everything that is going on with it. Maintaining and upgrading your computer can double or even triple the life of your computer at a very affordable price. With the popularity of smart phones and tablet computers, part prices have dropped significantly. This allows for the customer to enjoy the best value and longevity of their laptop or desktop computer. As always with every repair, if we feel its just not worth it to repair your computer and better off investing in a new one we will tell you! The reason we are so adamant about that is we know customers come to us for guidance. Its our duty as gadget guru’s to look out for what your experience is going to be with your repaired device and if it will meet your expectations for speed and efficiently. In today’s competitive wireless market everyone is always looking for the best bottom price when you should be looking for the best value. Forever Wireless is a proud Premier Branded Retailer of Boost Mobile, which we believe offers the best value for the customer. We have been a branded retailer since before their launch of the 50$ unlimited plan in 2009 which was the biggest game changer in wireless until this day. Today, due to market changes customers can enjoy plans as low as $30 a month while meeting their data and phone needs of specific users. Being a Boost Mobile customer has its advantages beyond just an affordable monthly payment. When you become a loyal on time paying customer Boost Mobile has several benefits include random monthly discounts! Programs and promotions frequently change so it’s important to stay in touch with us when you are ready to be apart of #BoostNation. Forever Wireless operates 7 locations in the Baltimore metro area all of which are authorized retailers for Boost Mobile. We believe its important to align ourselves with a company that has the same values and vision for our customers. With everyone having different needs from data to handset, Boost Mobile has phones as simple as a flip phone to as fancy as the newest iPhone 6s. Financing your device is now a reality with no credit check programs available at any Forever Wireless location. Seeking a better and cheaper option for home internet? Get Xfinity Prepaid Home Internet for only $45 a month! Sign up today and you can even get the first month free! Available at all 7 Forever Wireless Boost Mobile locations, our Xfinity prepaid home internet comes with no contract, unlimited data, and an easy self-setup modem. Furthermore, every modem comes with built-in wifi. With no overages and no surcharges, you can’t beat this offer! Start streaming your favorite movies and tv shows and play all of your favorite games with unlimited data by purchasing Forever Wireless Xfinity Prepaid Home Internet today! ALL those years. Good news is there are plenty of options to prevent this. Any and all Forever Wireless staff members can audit your device settings to make sure that you are backing up correctly. Unfortunately, Forever Wireless CANNOT perform any miracles, but it does have some solutions to certain scenarios when it comes to data recovery. We can never guarantee our repair work for these situations, but we are always up for a challenge! There are a LOT of things that can be done to prevent a complete data loss and that’s making sure your device is setup and properly backing up. Making sure your device only backs up on wifi when at home, so you avoid wasting your previous data allowance. HELP ME GET MY DATA BACK! Life without your favorite Bluetooth headset or speaker when you travel or when you’re just on the go can be rough. With so many brands and types of speakers and headsets, it can be overwhelming. Forever Wireless carries a variety of Bluetooth headsets and Bluetooth speakers in stock to meet anyone’s budget. Many people wonder whether or not it’s worth spending money on the originally manufactured charger or just your average knock off. If you want to charge your device in a timely fashion, your best option is to use an original charger which we typically have in stock at all times. Yes, the price is going to be high, but the longevity and quality of your charging experience will be much greater. Using a knock off charger that is not a certified can be not only bad for your phone, but dangerous, as fires have been reported because of aftermarket, low-quality chargers. Protecting your device with a case should just be a given but for one reason or another many customers choose NOT to use a case. It’s impossible to carry a case and style that EVERYONE (literally and figuratively) will buy. We have done our best to stock our stores with a wide variety of colors, styles, and models for all common handsets circulating in the market. You can’t please everyone, but we sure try pretty darn hard. I NEED CELL PHONE STUFF! If you need your Power Wheels repaired, get in touch with us, because we are Baltimore’s only authorized service center. Trained by Fisher-Price Mattel, our repair technicians are experts at fixing Power Wheels. More information, here. We value our customers tremendously. Therefore, we’ve decided to give back to our prestigious patrons by introducing our Forever Family loyalty program. Save money, earn awesome rewards, and join the Forever Wireless Family by opting in today! More information, here.